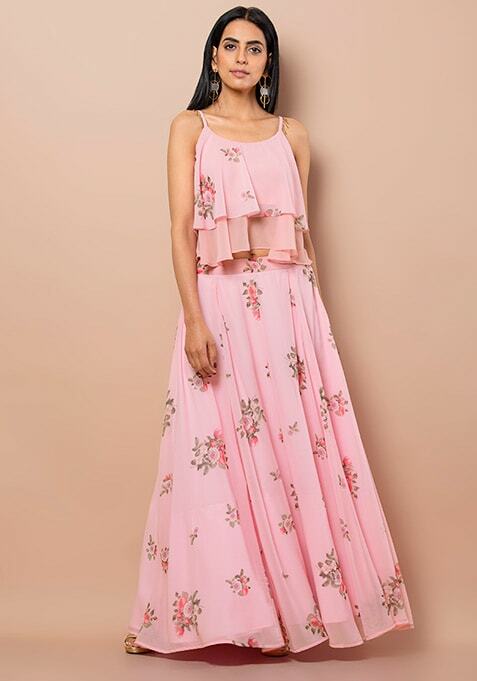 Get that occasion worthy look in this pink floral maxi skirt that is easy to carry and perfect for a mehendi ceremony. Featuring floral print and can can lining. Work It: Team it with a sequin top and complete your look with glamorous accessories to get a look that will be remembered.